If you were to tell me that at the age of 15, the beginning of an incredible music career for me would be competing in more than a dozen singing contests across the Minnesota-Wisconsin state line at Hmong summer festivals and New Years, I would have giggled and left it at that. Honestly. However, competing in Hmong singing contests is a big reason why I can get onstage and perform for you all today. It’s been nearly 13 years since I entered my very first singing contest, but I have not forgotten my experiences. I can still feel the sweat and the anxiety that I carried right onto the stage before I even opened my mouth. I can still see the nerves on my fellow Hmong sisters and brothers backstage who would compete with me that day. I can still see myself practicing for hours with the family hair comb as my mic, hoping to win the judges’ hearts. I also know what it means when you tell your whole family you want to compete in the singing contest at the New Year this year, but you honestly don’t know what you’re doing (and they don’t either). See, I started out just like you. No role model, no handbook, but a whole lot of HEART. Only this time, you have some guidance right here. 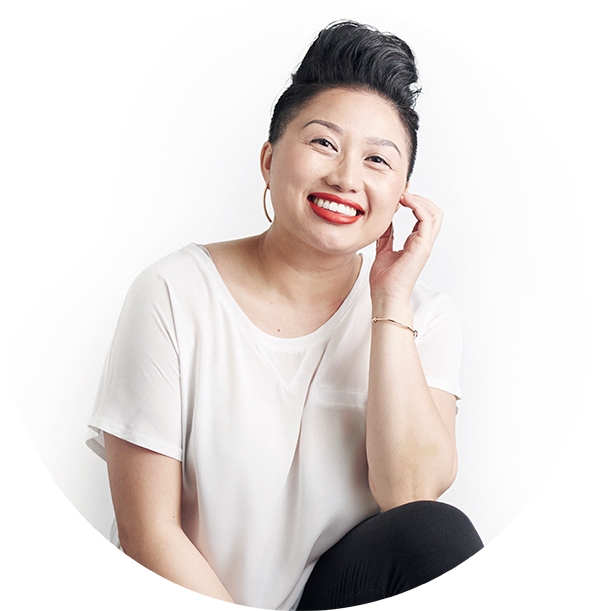 So this blog series’ for you—you brave soul who just wants to sing. And win. …I had genuine confidence in when I rehearsed it (and I mean a full-out-no-hiding-behind-the-music-stand-kind-of-confidence). Tip #2: Do not take on popular songs that have been sung time and time again at Hmong singing contests. Tip #3: Make your cover song (if you’re singing one) as original as possible. Tip #4: Go with your gut. Your mom, your sister, right up to that new friend you just met backstage, will probably try to persuade you to sing another song that you (1) might not know/like or (2) might not have been prepared to perform. If all else fails, including my tips above, go with what feels right to you from the inside. Bottom line: You want to stick out, so choose a song that would least likely be chosen by others and make it your own. 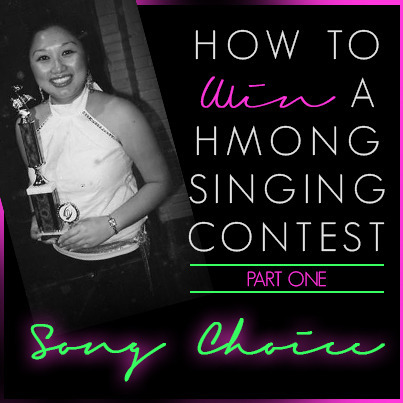 Hope you enjoyed Part One of my “How to Win a Hmong Singing Contest” blog series! Feel free to leave me a comment/question about the tips and make sure to look out next week for Part Two!